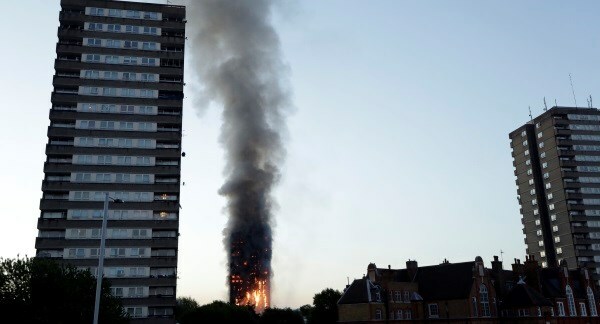 The media was “too far removed” from the lives of the residents of Grenfell Tower and breached its obligation to connect with people who were not members of the elite, Channel 4 news broadcaster Jon Snow has said. Delivering the James MacTaggart Memorial Lecture at the Edinburgh International Television Festival, Snow said the disaster, in which more than 80 people died, taught him a valuable lesson about how disconnected the press is from the lives of those affected. He said: “The Grenfell Tower disaster taught me a harrowing lesson that I thought I had already learned but perhaps forgotten. We’d better accept it we are all in this together, all of us in this room are by definition, part of the elite. “Yet I believe that we have, by the nature of our business, an obligation to be aware of, connect with, and understand the lives, concerns and needs of those who are not. He continued: “When journalists woke that terrible morning and googled Grenfell Tower, they found a blog published eight months before. “It raged at the Tenant Management Organisation and highlighted the dangers of the building and the disconnect between the tenants and the landlord. “A chronicle of death foretold not by any journalist but in a blog by the leader of the action group for those who lived in the tower. He continued: “We can accuse the political classes for their failures, and we do. But we are guilty of them ourselves. Snow also argued that as digital media such as Facebook and Google becomes increasingly powerful in the spread of news, it must pay to support newsgathering and take active steps to weed out “dark, cancerous” fake news. He told the lecture hall: “Many news organisations including my own, have asked too few questions about the apparent miracle of Facebook’s reach. “For us at Channel 4 News it has been invaluable in helping us to deliver our remit…but the other side of the issue – the dark, cancerous side – Facebook enabled the story ‘Pope endorses Trump for President’ to engage more than a million people during the US Elections. “That same algorithm that prioritised many amazing reports of ours, also prioritised fakery on a massive scale. He added: “Facebook needs to pay more taxes; Google needs to pay more taxes, the rest too. “The digital media duopolies have to pay more to carry professional journalism. It cannot be beyond the bounds of human understanding to come up with a way of ensuring that these mega entities have to pay to play.